Pre-registeration required. You will receive confirmation email at the end of the day. One participant can register at only one location, in the event a particpant tries to register at more than one location, the registration will be cancelled. 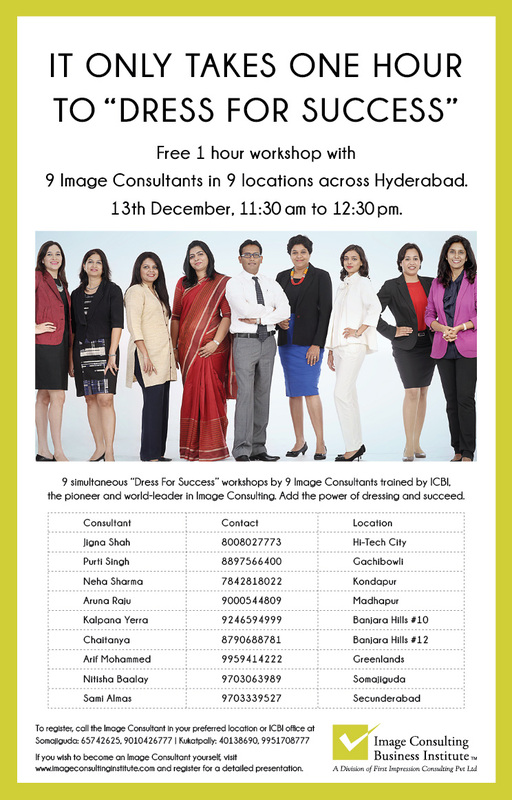 For the first time in Hyderabad, 9 Image Consultants at 9 locations across Hyderabad are going to conduct a free workshop on " Dress for Success". Register today!